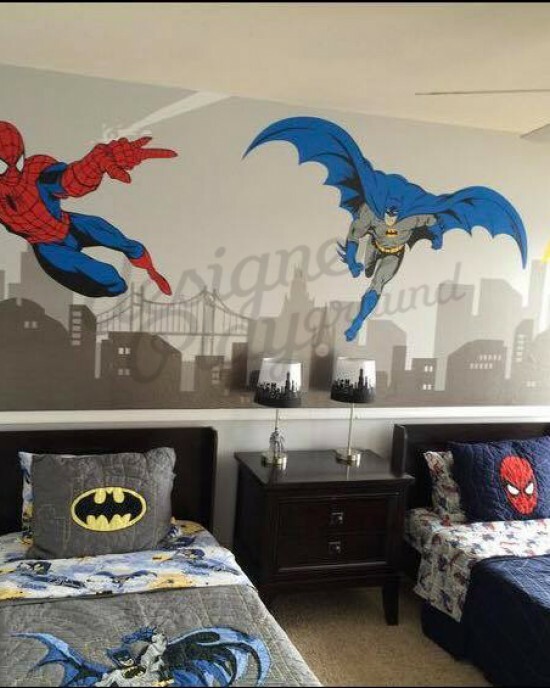 Can't decide Batman or Spiderman? Get both of them in a scene! This design comes in separated parts, so you can install it the way you like. >you can choose to REVERSE this design - please leave me a message to seller box when you checkout. 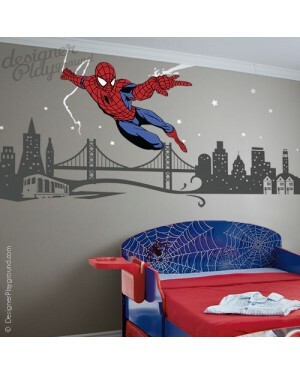 Wall decals are the perfect finishing touch for baby nurseries and kid’s playrooms and bedrooms. 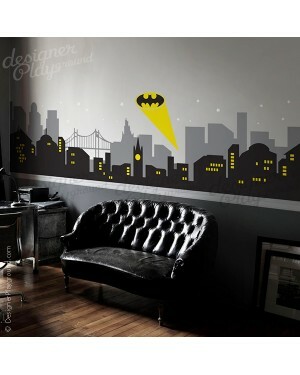 Our wall decals are quicker, easier to DIY and less expensive than painting. Once the decal is applied to the wall, it looks painted on! 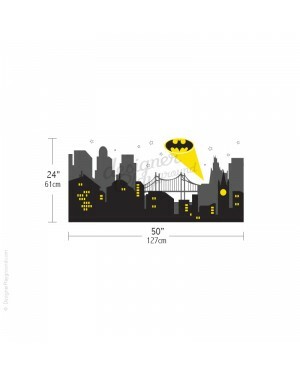 The great thing about our wall decals is that when it comes time to update the room decor, you can easily remove our decals without damaging the paint on the wall. • FREE test decal and EASY Step-by-step detailed instructions included! 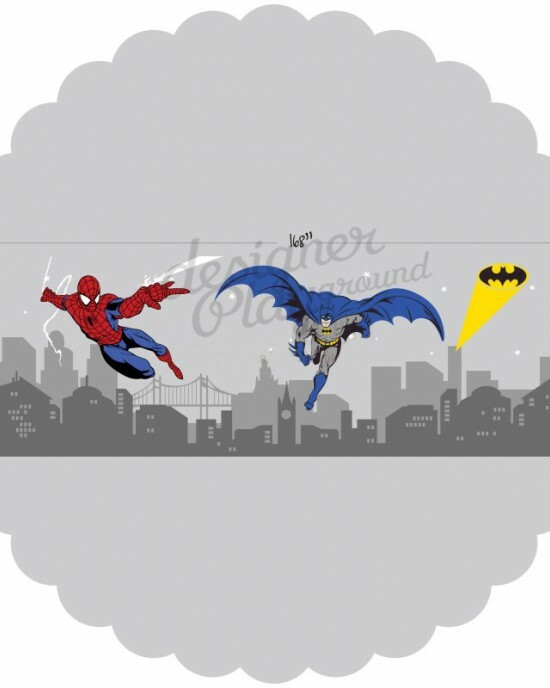 • All of our decals can be custom sized larger or smaller and we can add additional colors. Contact us for pricing! 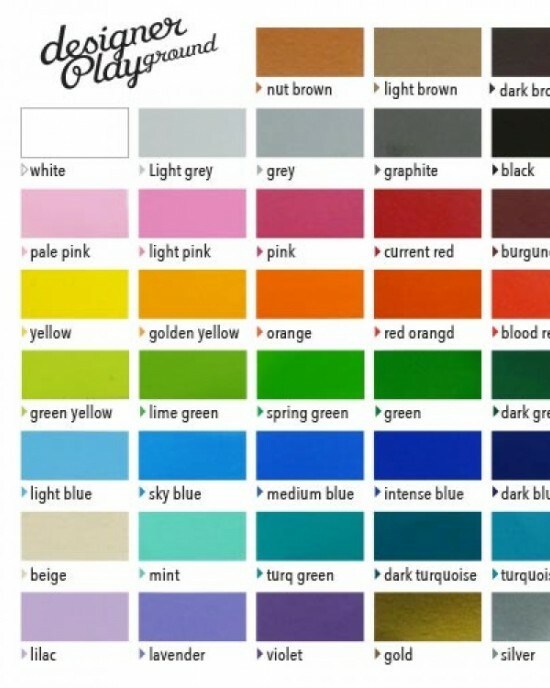 • We use commercial grade high quality (Made in GERMANY) MATTE vinyl that looks like paint once applied to the wall. 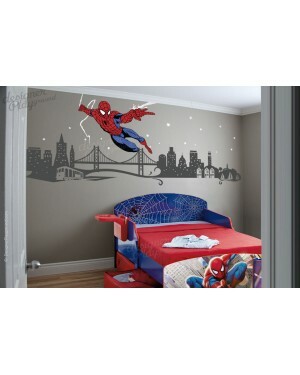 Spiderman slinging web with cityscape, perfect for wall with chair rail. 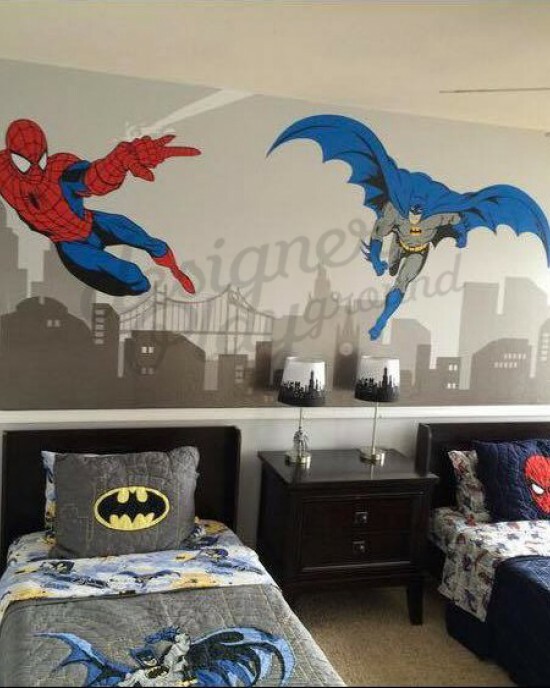 It's way too cool to be able to sleep in a room with the super hero, kids gon..
Batman light in the night of Gotham city, perfect for wall with chair rail. 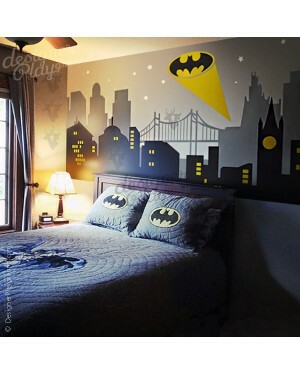 It's way too cool to be able to sleep in a room with the super hero, not o..